22 January 2009 is the day. The day Happy is reveal to the new rate. first thing to do to checks on the rate is by login into Low Yat Forum and check at Happy sub-forum. read, read and read... omg all is negatives comments. so immediately i login into the www.happy.com.my website and to see myself the true. 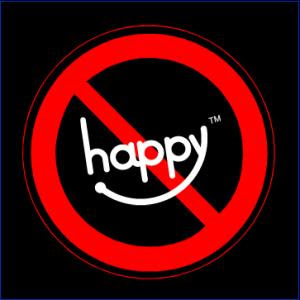 Happy is now HAPPIER with brand new call rates. With Happy, you can make extra long Happy to Happy calls of up to 45 minutes anytime between 9:00am to 5:00pm for just RM0.99! For short calls, we’re gotten even better with a super call rate of RM0.33 a minute to all networks! That’s way cheaper compared to our previous rate! And you’ll be glad to know that SMSes are still RM0.10 to all Malaysian numbers! The new call rates are applicable to all new and existing Happy customers. Find out more about these rates in our updated rate table and be HAPPY! Only calling Happy to Happy between 9am to 5pm can get 99cents. Others than that, it's 99cents for 15minutes and sub-sequent 33cents per minutes. it's impossible that i got friend who using Happy. Anyways, Happy have brings me sweet memory when the old rate apply. but now the enjoy is become shorter and it's not enjoyable already!